A proposal to supplement existing landslide classifications with a more detailed description of the geomechanical characteristics of the materials to include the effects of “structure”, stress history and initial state has been developed as part of the EC sponsored SafeLand project. 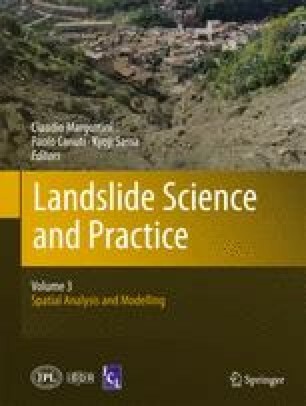 This approach provides a valuable insight into and a rational basis for the modelling of the physical mechanisms that govern landslide triggering and subsequent development. The classification, behaviour and modelling of saturated clays and sands is summarized here. The use of advanced strain hardening plasticity models which, where necessary, include progressive damage to the “structure” of the material helps to replicate mechanical weathering, delayed failure and the triggering of flows or slides, depending on the type of material. A numerical example is presented, illustrating the different response of sensitive clays and mechanically overconsolidated clays to rapid erosion or excavation. More details of the proposed geotechnical classification and other numerical examples may be found in Deliverable 1.1 of the SafeLand project. The work summarized here was carried out as part of the SafeLand project, funded by the EC 7th Framework Programme (Grant Agreement No. 226479). The Authors are grateful to colleagues and partners in the Project for valuable discussion. The numerical models were developed with the assistance of Ing. Maurizio Fontana of Autosoft, whose contribution is gratefully acknowledged.